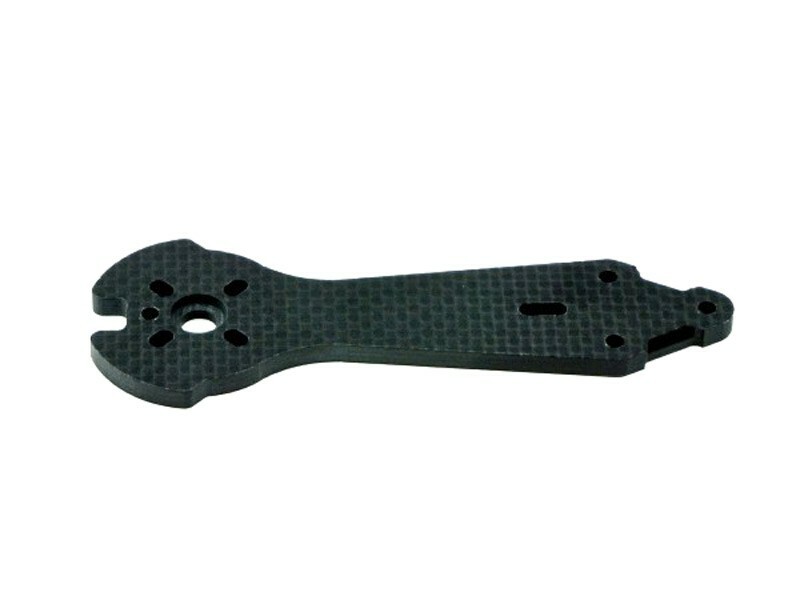 A single 4mm Carbon Fibre arm for the 250 Pro quad. This version extends the stock arms to allow the swinging of a 6" prop. Note: that some soldering is required to install these upgrade arms, to extend the wires to the motor. In addition, the stock motors are not ideal to swing 6" props, 2204-1960kV or similar are recommended as alternatives.